Building more new homes to increase the housing supply is the only effective way to keep home ownership within reach. We know that there are number of barriers at the state and local council level of government, including hidden embedded costs in the price of land, red tape and regulatory creep that impedes our members building more new homes for Australians. Master Builders Australia has lobbied successive governments to implement measures to overcome blockages to supply. In the 2017 Federal Budget 2017, the Turnbull Government announced a housing affordability package. 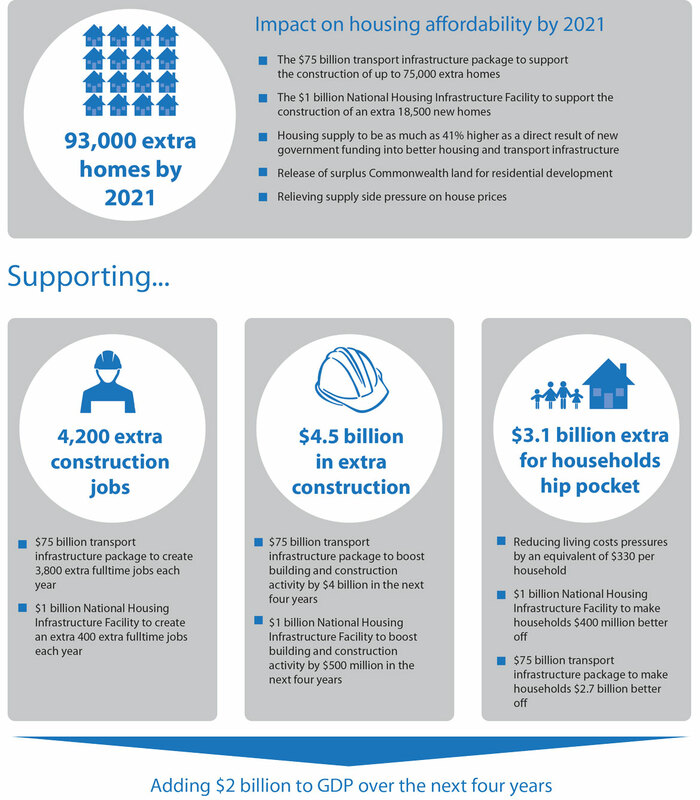 Master Builders Australia commissioned Cadence Economics to model the impact of these measures on the housing supply. Read the second volume, Unlocking Supply, Consideration of measures aimed at improving housing supply by clicking here.